Buyers can take advantage of special limited incentives when they build from the ground up and select from six one- and two-story floor plans ranging in size from 1,900-2,700 square feet. 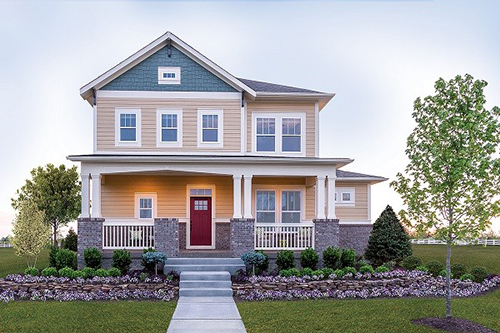 Homes in Harmony – The Village offer three to six bedrooms, two to five full baths, and two- or three-car garages. In addition, two homes will be available in February. The Allenwood is a one-story home priced at $354,045 with three bedrooms, two full baths, one half bath and a three-car garage. With nearly 3,700 square feet, The Castledale at 1618 Rossmay Drive features four bedrooms, three full baths, one half bath and a three-car garage. Community amenities at The Harmony Club include a fitness center, basketball court, tennis courts, dog park, playground, lap pool and children’s splash pool. Walking and jogging trails are also planned for the future. Harmony is also located in close proximity to Clay Terrace and Central Park and offers convenient access to U.S. 31 and U.S. 421. The Castledale model home is located at 15026 American Lotus Drive in Westfield. Hours are Monday – Saturday 10 a.m.-6 p.m. and Sunday from noon-6 p.m. For additional information about David Weekley Homes in Harmony – The Village, call 317-669-8629. The Castledale model home in Harmony – The Village.